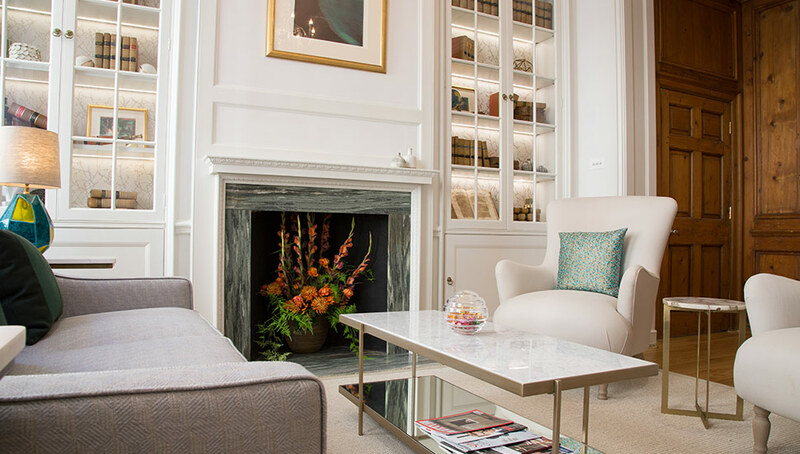 A reception and waiting room say a lot to clients about what kind of a company they have stepped into. 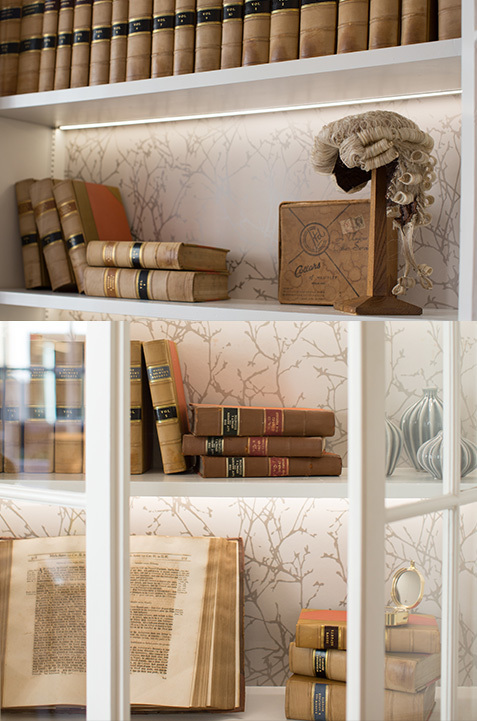 Working with this Barristers’ Chambers, the goal was to give their clientele the right message about the representation they were going to receive. 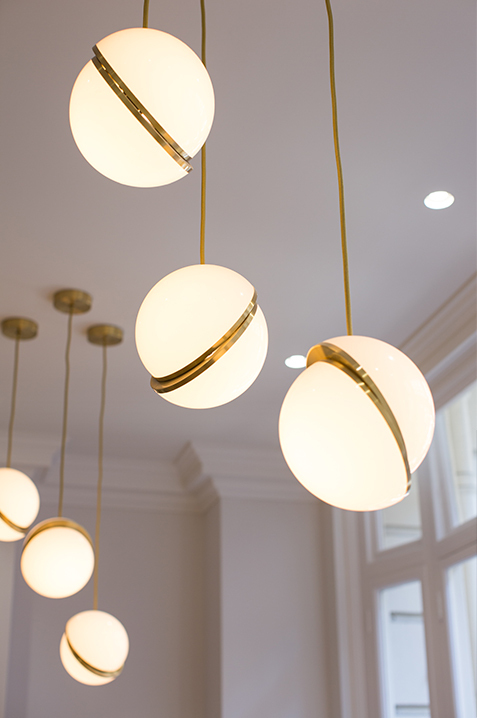 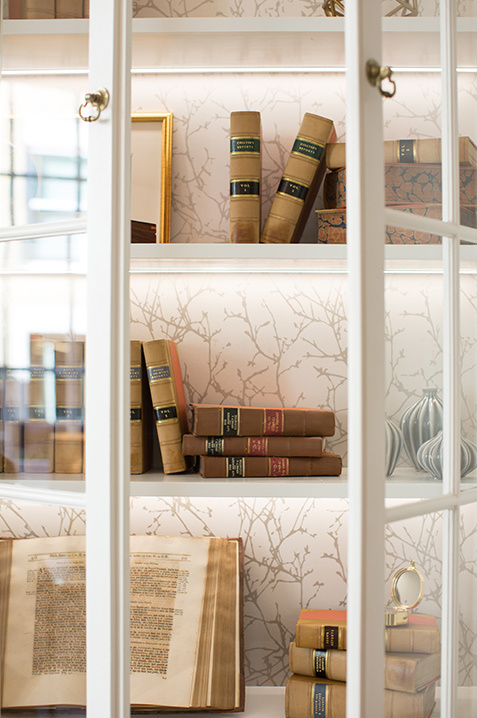 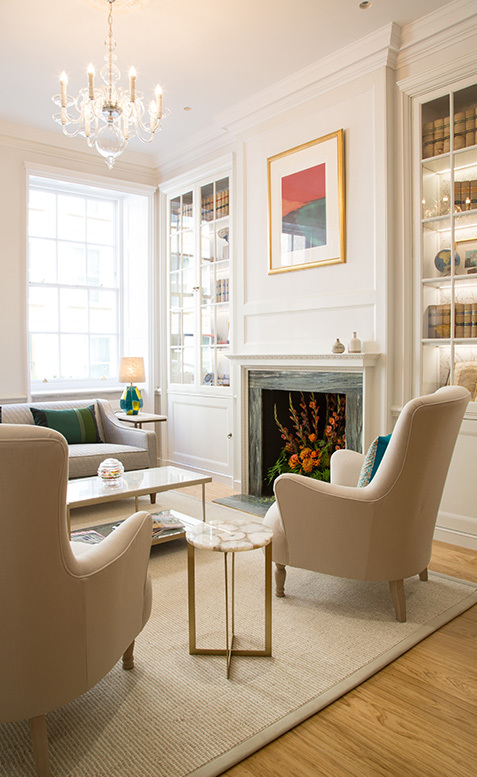 The fresh classic contemporary interior evokes the firm’s rich history as well as showing they are forward thinking. 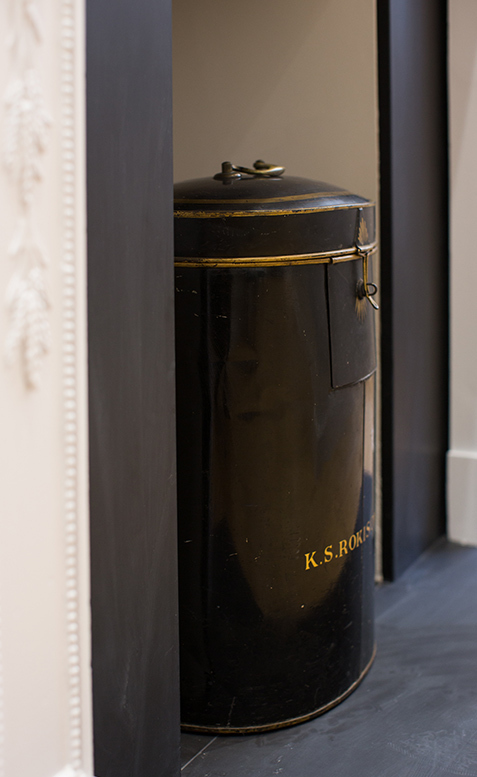 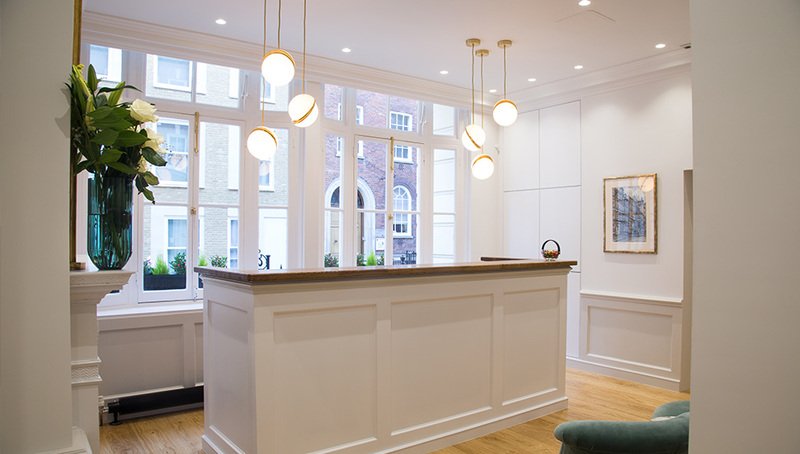 The aim of the project was to move their old reception, which had a waiting space, into what were two disused rooms on the opposite side of the corridor. 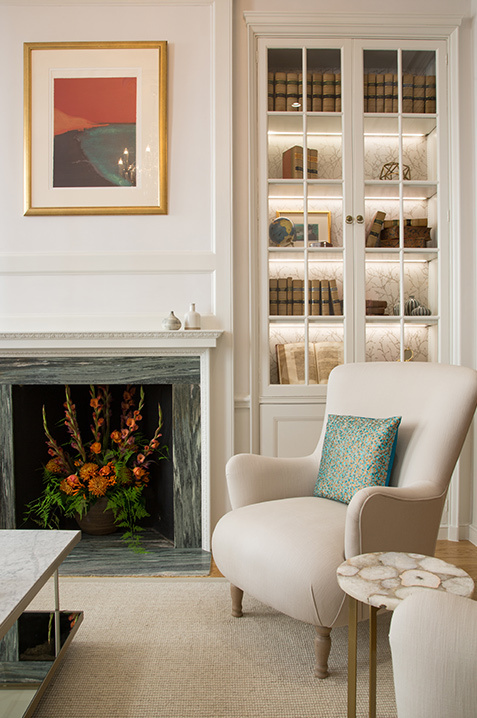 The first room was to be a standalone reception area, the other a comfortable smart waiting room. 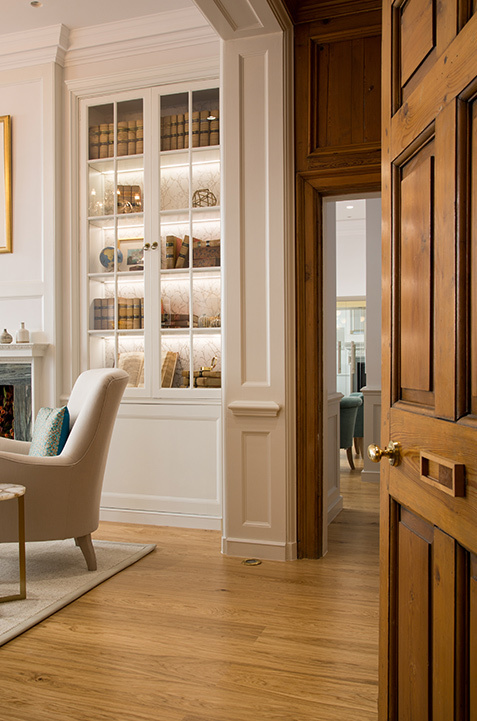 The building is full of classic architectural features including a Grade Two listed original wood panelled wall, a fireplace and built in cupboards. 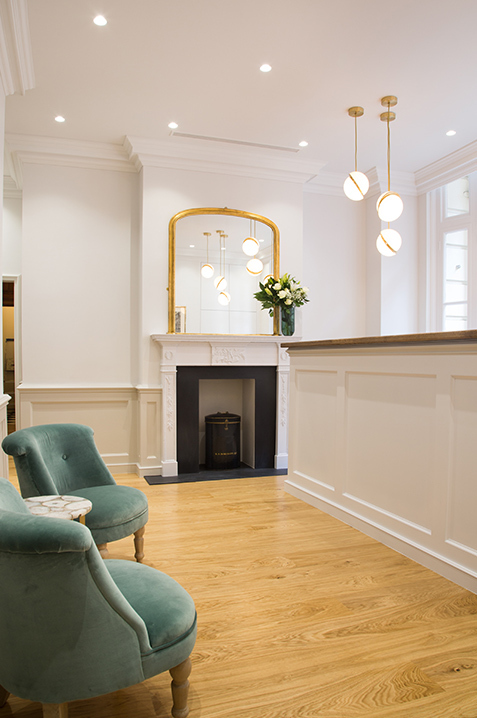 The aim with the interior design was to work sympathetically with the building and create the best layout for the spaces, which helps the visitor flow easily through from being greeted at the reception desk to waiting for their appointment in the waiting room. 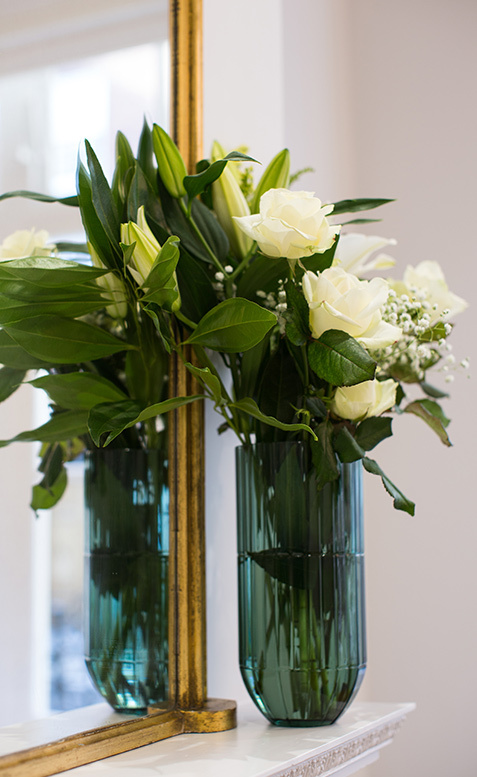 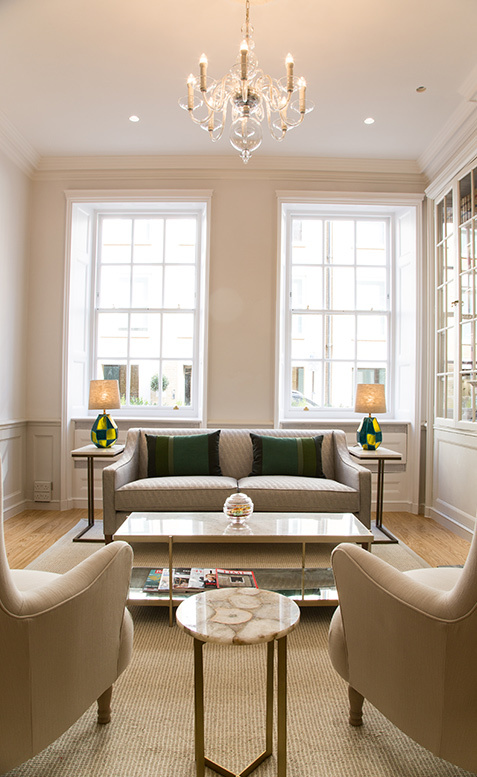 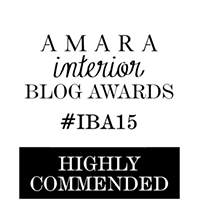 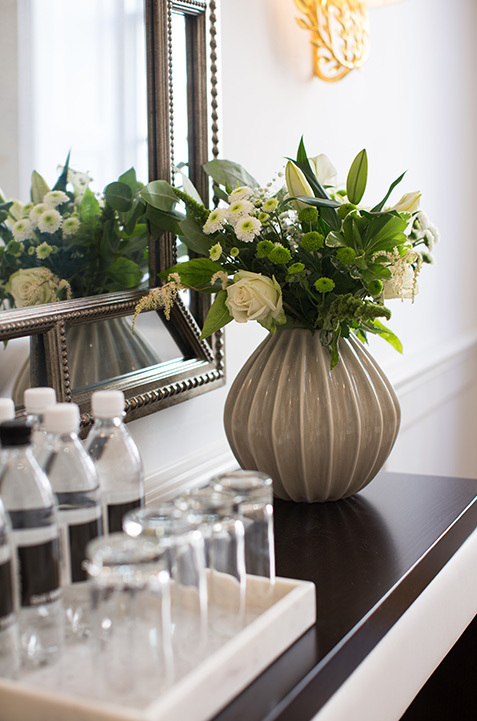 To bring the rooms together, panelling was added in the reception and a soft neutral palette with green accessories to lift the scheme was used throughout. 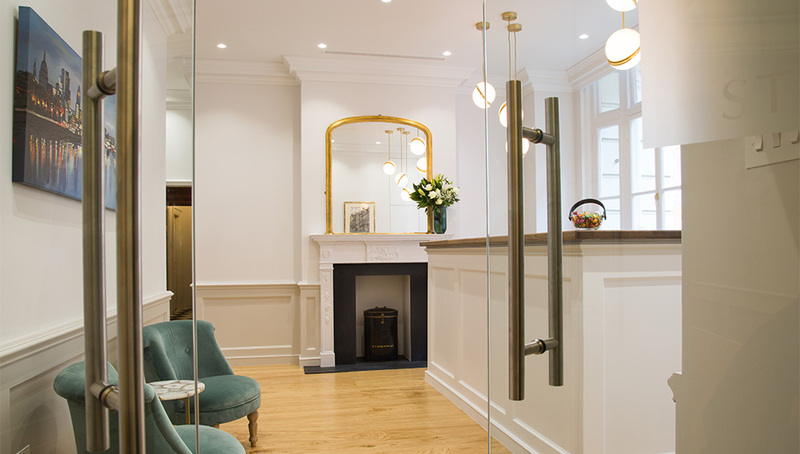 With modern wood flooring, custom designed reception desk, luxurious upholstered furniture and accents of brass these rooms reflect the attention to detail and quality of this Barristers’ Chambers. 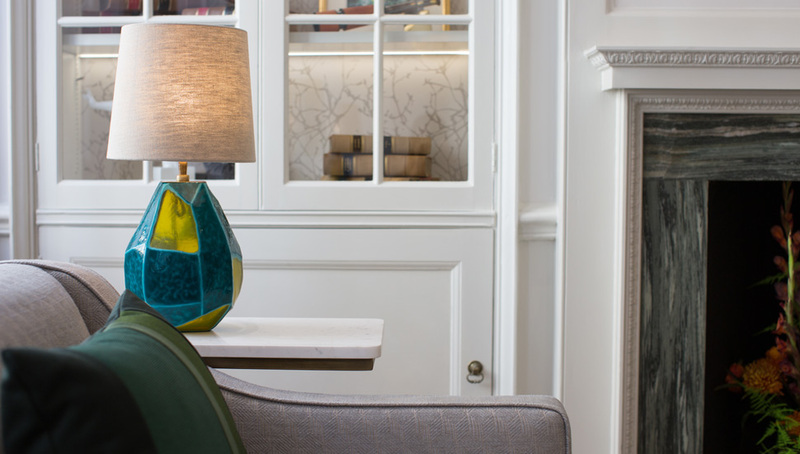 To add the right finishing touch, the rooms and cupboards were styled combining articles that spoke about the story of the Chambers with modern pieces.